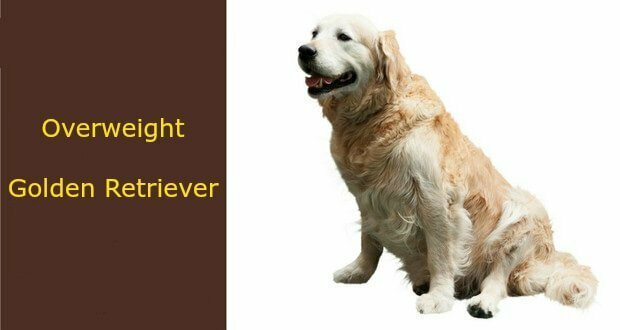 An Overweight Golden Retriever is a rare sight.However, no matter how unreal or impossible it seems, Golden Retrievers do need to make efforts to stay slim too. An unhealthy lifestyle coupled with an unhealthy diet can be the leading cause of obesity in Golden Retrievers. Which is why, there need to be some measures, like the ones listed below that you need to take in order to ensure that your dog stays slim and in good shape. To gain a good physique, regular physical exercise is important, and so is true for dogs too. Long walks, running long distances and jumping and hopping all are good ways to get enough exercise for your dog on a daily basis. The secret to avoiding Obesity In Golden Retrievers is to be regular and consistent with these practices, without missing a single day. Exercising and running around all day will do nothing good for your dog if all it does all day is eat junk and unhealthy processed foods. You will need to design a daily health plan for your dog including what to eat and what not. Consult your dog’s vet before you decide to include anything in its diet. The bottom-line is: prepare a diet schedule and stick to it. Set suitable times for eating, playing, sleeping, exercising and every other job that your Golden Retriever does during the day. A set routine is synonymous with good internal and physical health which, in turn, shows on the outside in the form of a good physique. A regular daily schedule is quite underrated as far as Training Golden Retriever puppies are concerned. Consult your vet with what your dog should eat and what not, what exercises must they be subject to, and what should their daily routine be. A vet consultation is important since you need advice that is exclusive to your dog and is made given the current condition of only your dog. Which is why keep visiting the vet frequently if you wish to see your dog in its best physical form. A full body health checkup is not just exclusive to humans. Without one, you can never know if there is anything wrong with the digestion or any other issue with your dog’s internal systems. A health checkup is necessary especially if your dog shows signs of not keeping well. It is not only your dog’s meals that need to be healthy but also everything that they eat in between meals too. Refrain from Feeding Golden Retriever Puppies crumbs or leftovers of your meal because they will fill up your dog’s stomach without actually providing any nourishment to their bodies. You cannot completely rely on food to get your dog in the best of its shape. In order to be doubly sure, you can take help of specially designed dog food supplements available in both online as well as offline markets. Ensure that these supplements don’t contain any substances that your Golden Retriever might be allergic to. No matter how obvious it may seem, playing such games does strengthen your dog’s muscles. It also gets them to have enough physical activity for good blood circulation and better physical health. The next time you visit the dog park with your pup, remember to include games like ‘Throw and Fetch’ or ‘Catch the Ball’ so that your dog gets plenty of reasons to run around. Swimming is a great way to subject your Golden Retriever’s body to great exercise. It not only proves to be one of the best ways of working out but also loosens up any tense muscles that may have occurred in your dog’s body. If you are keen on getting your dog slim and fit, you cannot do it alone. You will need the help of your family and friends. Whenever they visit you, you need to tell them to not feed your dog crumbs or anything else that may hinder with their regular balanced diet. Also, have them put in efforts similar to yours in the overall well-being of your dog. The above-mentioned ways and methods are not all that you can employ in order to get your dog slim and healthy. There are plenty more tactics that you can design according to your dog’s individual lifestyle and habits, or after consulting your dog’s vet. However, make sure you apply these basic tips so that your Golden Retriever does not only stay healthy but also look fit and slim.